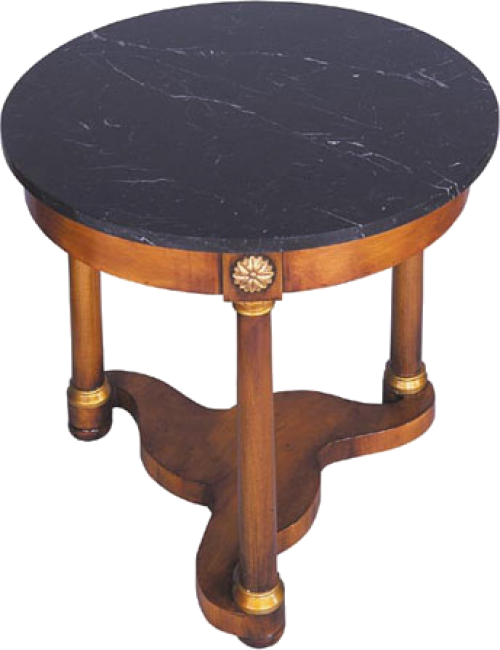 Empire style marble top table on three tapered columns with an unusual shaped base. Bun feet. Also available with wood top. Pictured in Yewwood.